Learning beginning blends in Orton-Gillingham can be a lot of fun if you connect the learning to the real world. On today’s post I am going to share an Orton-Gillingham game with you that will make your kids grasp those beginning blends very quickly. 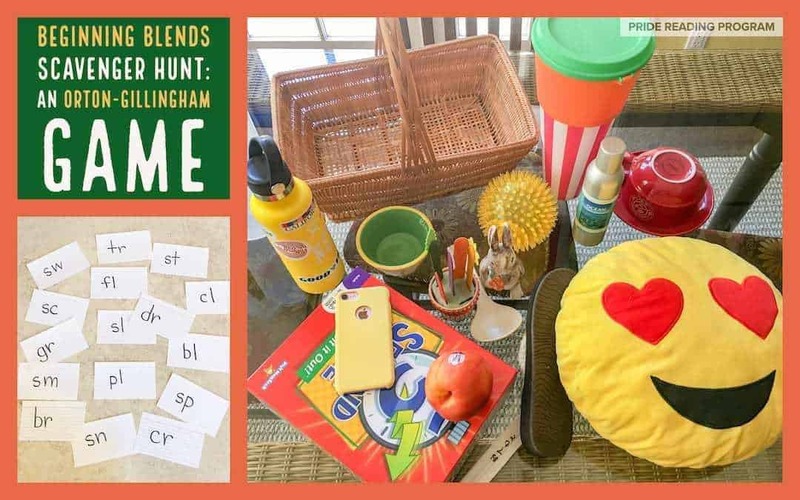 If your child loves scavenger hunts then this is the perfect Orton-Gillingham game for you! 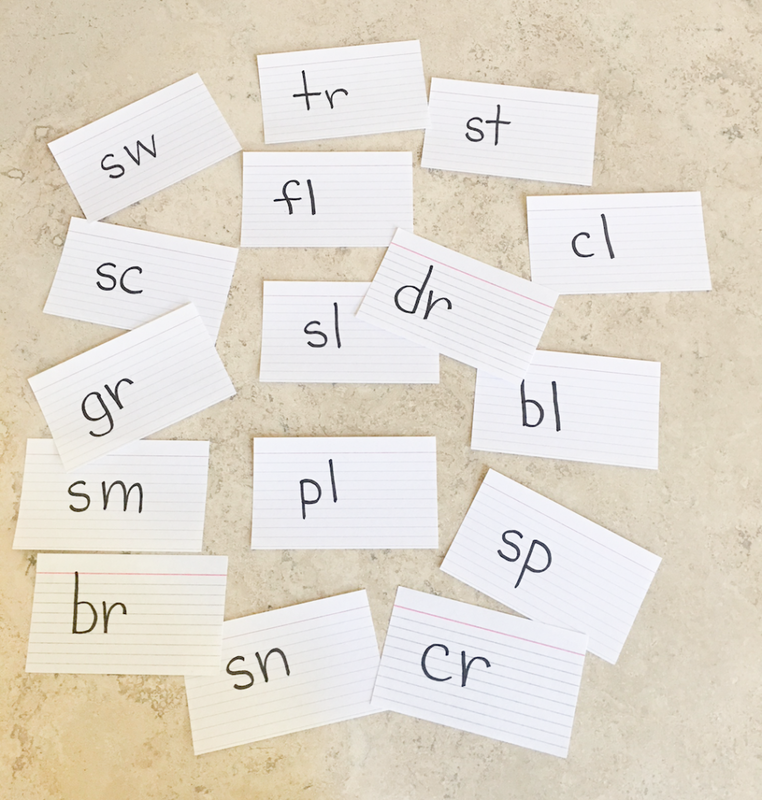 Write one consonant blend per index card. Some suggestions that I use for beginning blends are: bl, cl, fl, pl, sl, sc, sm, sn, sp, st, sw, tr, gr, dr, cr, br. Next, give your child the basket. Tell your child that he has 5 minutes to find as many objects as possible with the blend that you just gave him. 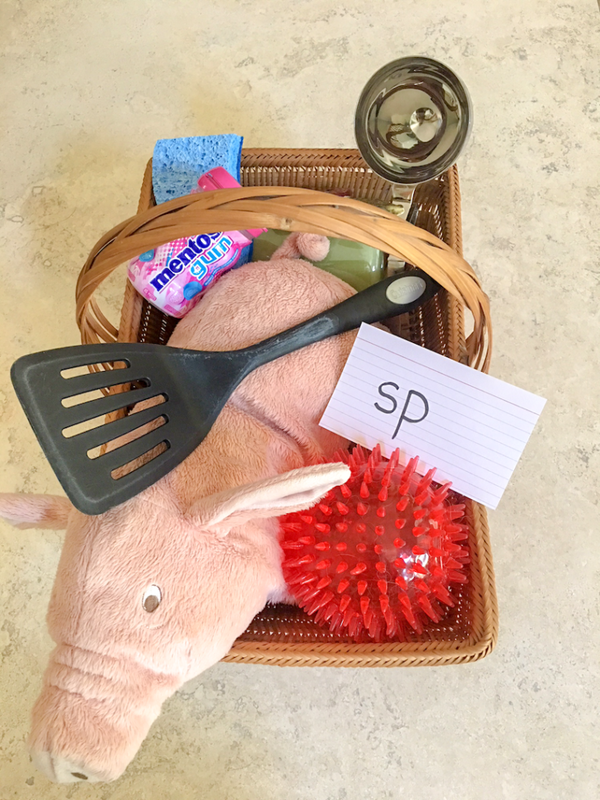 He can put the objects in the basket, like in this picture below. Finally, when the 5 minutes are up, you and your child can go through the objects in the basket. Play another round if you like, or you can play one round a day. To make the game more challenging, give your child a few blends to use on the scavenger hunt. You can also make this Orton-Gillingham game work for any other skills you might currently be working on. 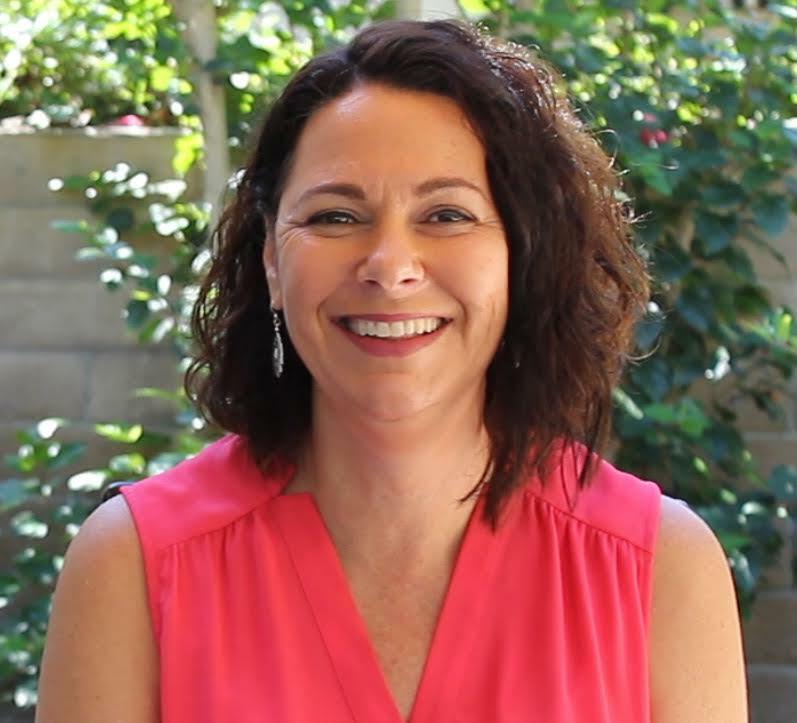 If you are looking for an easy to use, affordable and highly scripted out Orton-Gillingham curriculum, please check out The PRIDE Reading Program. Thank you so much for reading my post today! Let me know in the comments below how the game turned out for you!